Set against the breathtaking backdrop of Australia's famous Bondi Beach and featuring the charismatic and energetic Sydney Veterinarian, Dr. Chris Brown. 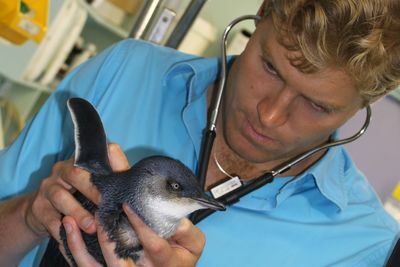 Bondi Vet comes to Animal Planet for a second series. See Chris face his toughest challenge yet. Bella the pug is in labour, she is carrying six huge puppies. During an emergency caesarean Chris and his team must battle through the night if they want to save the babies and a very critical Bella. In other episodes, Sydney is being lashed by a huge storm and a tiny penguin malnourished and having trouble standing up has been washed up on Bondi beach. When Chris discovers what is causing the problem, he is shocked and forced to make a very tough decision.